Fish really can recognise themselves in a mirror – and even like to preen themselves, according to new research. The aptly named cleaner wrasse attempts to remove marks on its body when it sees its reflection – indicating the humble creature is self-aware. It joins humans, chimpanzees, dolphins and a select few other animals that can pass the long-standing intelligence test. The finding published in PLOS Biology adds to growing evidence the brains of fish are surprisingly similar to our own. It suggests they have far greater cognitive powers than previously thought – and fuels the debate over how we assess the IQ of animals. 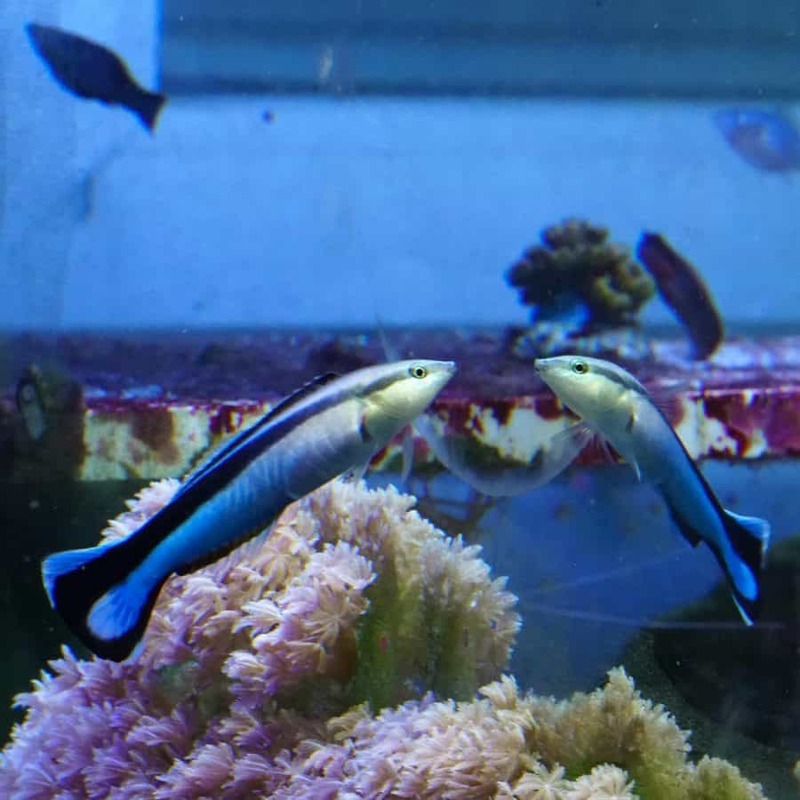 The cleaner wrasse is a tiny tropical reef fish popular in aquariums. Senior author Dr Alex Jordan, of the the Max Planck Institute for Ornithology, Seewiesen, Germany, said: “The behaviours we observe leave little doubt this fish behaviourally fulfils all criteria of the mirror test as originally laid out. The ability to perceive and recognise a reflected mirror image, or self-recognition, is considered a hallmark of intelligence across species. To test for this phenomenon in fish, the researchers applied the classic ‘mark’ test to the cleaner wrasse. It is best known for “cleaning” external parasites from client fish by placing a coloured mark in a location that can only be seen in a mirror reflection. In order to gain a ‘pass’, the test requires that the animal must touch or investigate the mark, demonstrating it perceives the reflected image as itself. Fish never attempted to remove transparent marks in the presence of a mirror, or coloured marks when no mirror was present. This suggested marked fish were responding to the visual cue of seeing the mark on themselves in the mirror. Further, unmarked fish did not attempt to remove marks from themselves when interacting with a marked fish across a clear divider. They also did not attempt to remove marks placed on the mirror itself – suggesting they were not innately reacting to a mark resembling a parasite anywhere in the environment. Dr Jordan said: “Depending on your position, you might reject the interpretation these behaviours in a fish satisfy passing the test at all. Prof Frans de Waal, a leading primatologist at Emory University, Atlanta, an expert in mirror self-recognition in mammals who was not involved in this study, finds it intriguing. But he urged caution in interpreting it and a less black-and-white approach to animal self-awareness. Prof de Waal said: ” What if self-awareness develops like an onion, building layer upon layer, rather than appearing all at once? “To explore self-awareness further, we should stop looking at responses to the mirror as its litmus test.